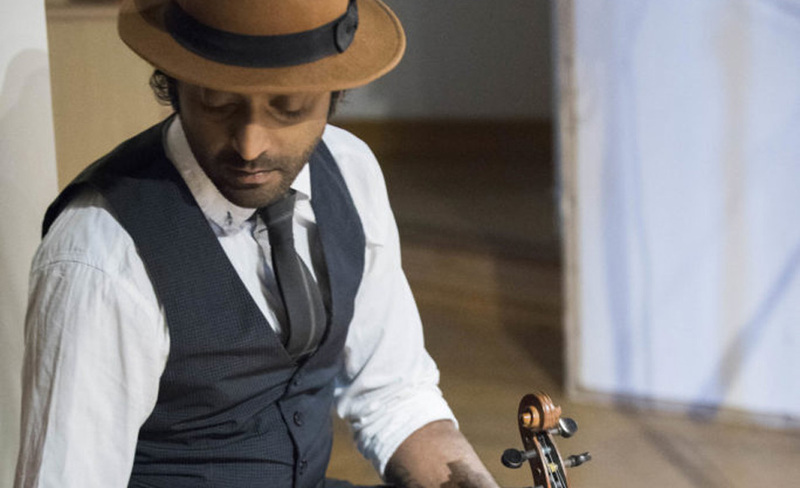 Hezron Chetty is a violinist and songwriter from Cape Town, South Africa. His style is fresh and his progressive approach to instrumental music has captured the attention of the music scene – local and abroad. `The Fallacy of Composition’ is Hezron’s studio album released in November 2015. Groundbreaking techniques on the violin have seen him share events with Viewe Farka Toure, Jocelyn Brown (Incognito) Raekwon (Wu Tang Clan),340 ml, Dan Patlansky, Albert Frost, The Blackjacks, Roger Lucey, David Kramer, Finley Quaye, Madala Kunene, Stelth Ulvang (The Lumineers), Just Jinger and Arno Carstens. Hezron’s genre can be described as a thought provoking take on Instrumental music. With influences coming from some of the great instrumentalists of our time, namely Charlie Parker, Miles Davis, Jimmy Page, Jimmy Hendrix ,Tommy Emmanuel, Stephane Grappelli and Django Reinhardt. Hezron loops string arrangements live, and places melodies and solos on top of them, he is backed by live bass and drums for his larger band. “Hezron’s sensitive understanding of music.” Therese Owen Independent Newspapers. Hezron performs as a soloist, as part of a dynamic classical pop jazz duo with Angelo Thomas, as a multi loop duo project with Jimmy on Double Bass and Guitar, as well as his full band.